What does Vrajesh mean, details, origin, short & easy attributes? Vrajesh pronunciation in 20 different native languages. Meaning of Indian name: Vrajesh. Meaning of the name Vrajesh is 'Lord Krishna'. Vrajesh is a name of Hindu / Indian origin, and is commonly used for males. The name number for Vrajesh is '2'. Vrajesh is baby boy name mainly popular in Hindu religion and its main origin is Hindi. Vrajesh name meanings is Lord Krishna. Vrajesh is written in Hindi as व्रजेश . Each letter meanings in Vrajesh Name. Popular personalities with Vrajesh Name. Vrajesh Hirjee is an actor, television presenter, film actor, and tv presenter. He was most prominent from 2000 to present. 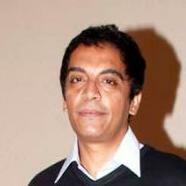 Vrajesh was born on June 16th, 1971 in London.